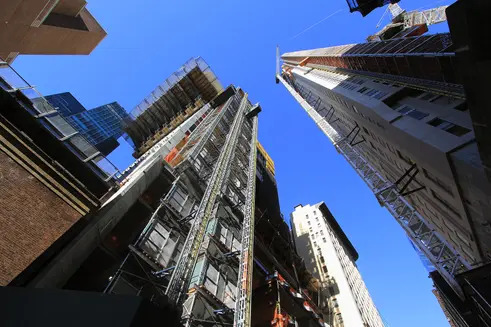 Extell Development’s Central Park Tower is slowly making its way to its throne as Midtown Manhattan’s skyline king. Come 2019, the 1,550-foot tall skyscraper will have the highest roofline in the Western Hemisphere and will be among the most complex private developments undertaken in New York City history. Barnett is partnering with China-based Shanghai Municipal Investment (SMI USA) to bring the super-project to fruition. 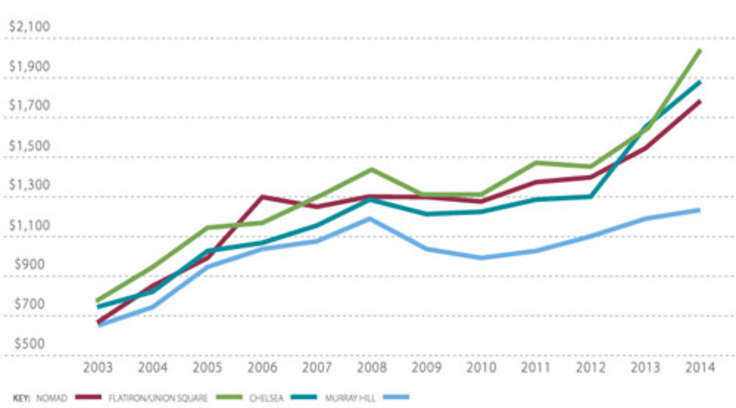 Despite some financing hiccups, construction forges on. 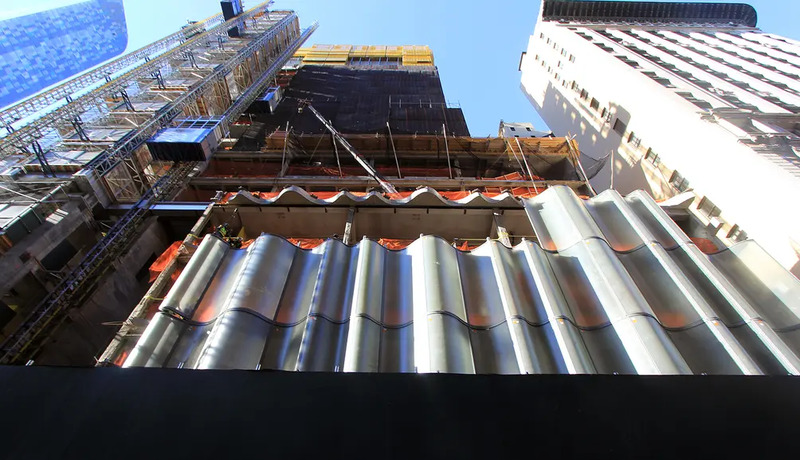 Yesterday we noticed Nordstrom’s 58th Street side base is getting enclosed in an eye-catching fluted-glass skin. Chicago-based Adrian Smith+ Gordon Gill Architecture (AS+GG) are the designers of the tower, their first in the city. 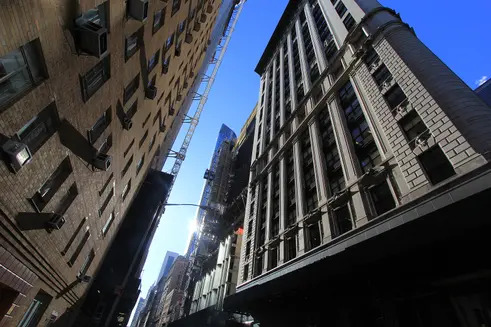 They’ll be working alongside James Carpenter Design Associates (JCDA) and Adamson Associates (AAI) who also happen to be in charge of Extell’s Lower East Side condo, One Manhattan Square. JCDA is handling the design of Nordstrom’s “Waveforms Façade.” The enormous full-height panels allow for natural light to illuminate the department store interior without the need for vertical mullions. According to JCDA, “The glass is specially treated to articulate a powerful expression of the sky framed by the towers of 57th Street. The passerby experiences the façade’s mutable presence as they approach from a distance – unfolding layered views of the sky, the store’s displays and activity, visually inviting them to envisage the store as a simultaneously accessible and urbane public space." The Permasteelisa Group is in charge of the curtain wall production. 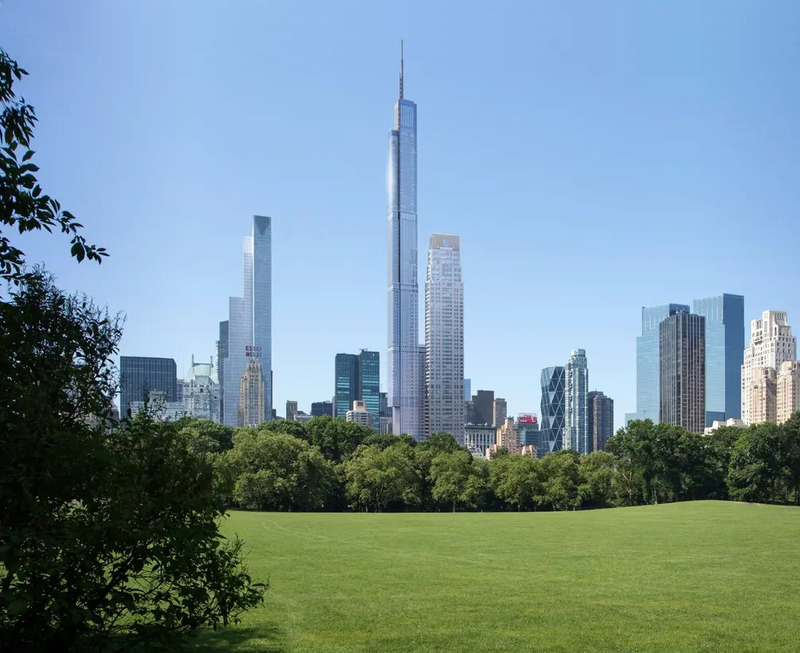 Based on early observations, the tower will become a modern counterpoint to 220 Central Park South that is nearly topped off across West 58th Street. 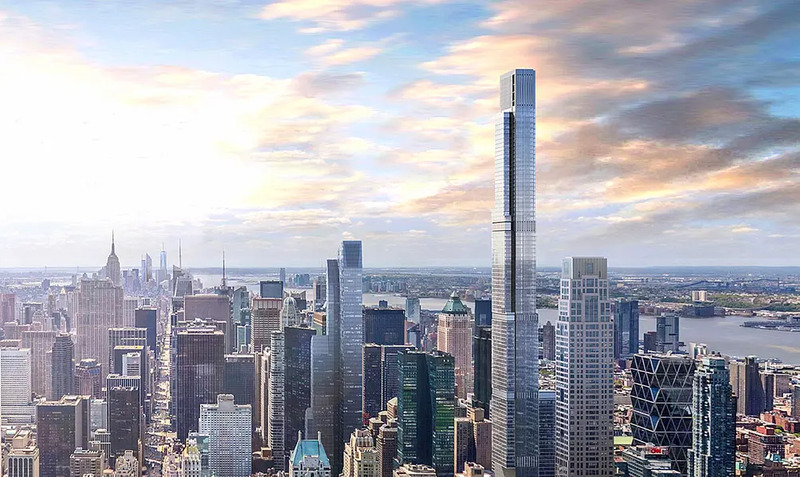 With a $230 million penthouse reportedly in contract, 220 CPS has its sights set on topping Barnett’s One57 as the best-selling condominium in the city. 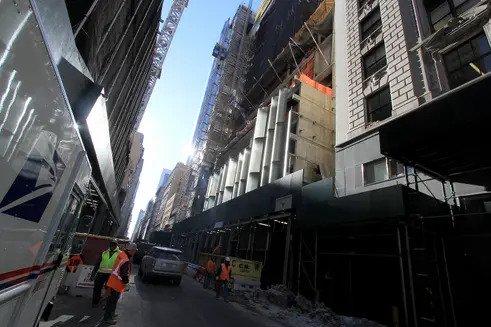 Central Park Tower is positioning itself to capture a large helping of these eye-watering price tags and its three-floor, 17,000-square-foot-penthouse will have no peer. 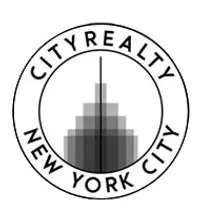 According to the Real Deal, a recently-retracted offering plan pegged the average asking price of the condos at $6,500 per square foot and the total sellout (both residential and commercial) at $4.4 billion.